NewGround has been informed that the beloved Ralph Fertig z”l has passed away. When I was in graduate school, I fell in love with the Civil Rights Movement in American History. As I read the accounts of what unfolded, I found myself in awe of the people I was reading about. These people made a conscious decision to take the higher road when provoked, to embrace love in the face of hate-filled actions, and to organize around a future where all are equal and all belong. Through my work with NewGround, I met Ralph and I heard his story about joining the Freedom Rides and almost losing his life as a result. I was again struck with awe — taking that kind of a risk when he was already a father. I look at my own kids and meditate on these questions: Can we bring out our better angels and be committed to love and inclusion in the way that Ralph and so many others dedicated their lives? Are we up to the task of carrying that mantle in a long journey where many have already given so much to embrace love? I invite you to take a few minutes to listen to a sliver of Ralph’s story that was shared on the NewGround stage in November 2018. May we lift up his memory such that his courage may inspire us as we navigate the world ahead. Ralph passed this weekend in Los Angeles. You can read his obituary on the L.A. Times. We hope to see you at his Memorial, which will be on April 7th at Leo Baeck Temple at 1PM. On March 15, 2019, a white supremacist killed 51 people across two mosques in Christchurch, New Zealand, and was apprehended on his way to a third. We have been left shaken, angry, saddened, and disillusioned. We have also been left needing one another even more than before. Amid the intensifying conversation taking place on Representative Ilhan Omar… We felt it important to host an event for our alumni to come together and share how they were feeling about the controversies surrounding Congresswoman Omar’s comments. In these times, it is often easier to avoid the hard conversations, so it becomes essential to reconvene and keep ourselves from splitting off from one another. We figured perhaps ten people would join us; it was last minute, and the middle of the week. We ended up with over 20 participants, barely fitting in the living room we were hosted in. At the moment when it might have been easier to avoid the conversation, our alumni came together to listen deeply to one another. In the midst of our conversations, one of our alumni checked her phone and realized what was happening in New Zealand. This work will not be as fast as we want it to be. It never is. Still, we are grateful that even in the midst of it all, our connections and solidarity are stronger than the forces of hatred, fear, and violence. Please take care of yourself, and know that your NewGround family is here for you. Please continue to reach out to others, and reach out to us, as well. 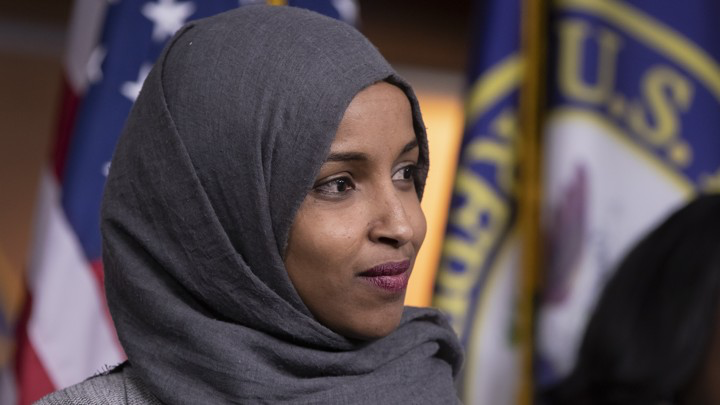 After a series of comments concerning her position on particular manifestations of support regarding Israel, freshly sworn in Congresswoman Ilhan Omar (D-MN) has become the unintentional public face of the rapidly intensifying debate around dialogue and public discourse, as well as the conversation about U.S.-Israel relations. While her comments brought to the surface a thread of national commentary on antisemitism, the very response to her comments also brings up questions of communicative efficacy, cross-ideological understanding, and the politics of the Israel question. Here at NewGround, we do not shy away from difficult conversations; indeed, it is a way for us to further understand one another, learn how to effectively address issues that we disagree on, and ultimately grow in the process. You can read her full comments by following the links provided above. 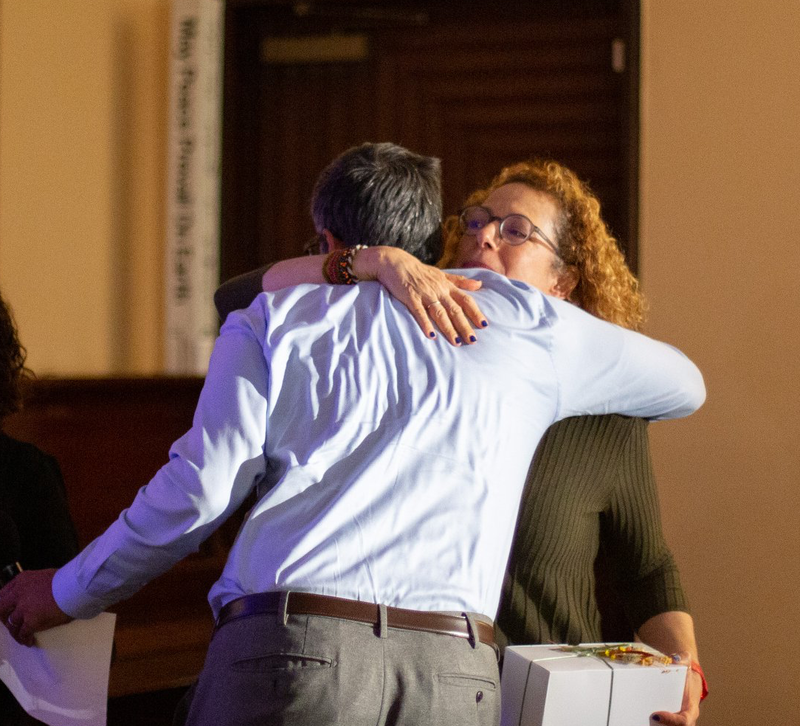 On December 30, 2018, PBS NewsHour aired special correspondent David Tereshchuk’s feature on Los Angeles Justice and NewGround board member Halim Dhanidina. Composed in part by David’s interview with Halim, and in other part by footage from NewGround’s recent Spotlight Storytelling event, the feature addresses the mixed responses that come with being the highest-ranking Muslim judge in the current United States, as well as the importance of diversity, interfaith work, and social understanding between Los Angeles communities. You can also watch the whole feature, with full transcripts provided, on the PBS NewsHour website. 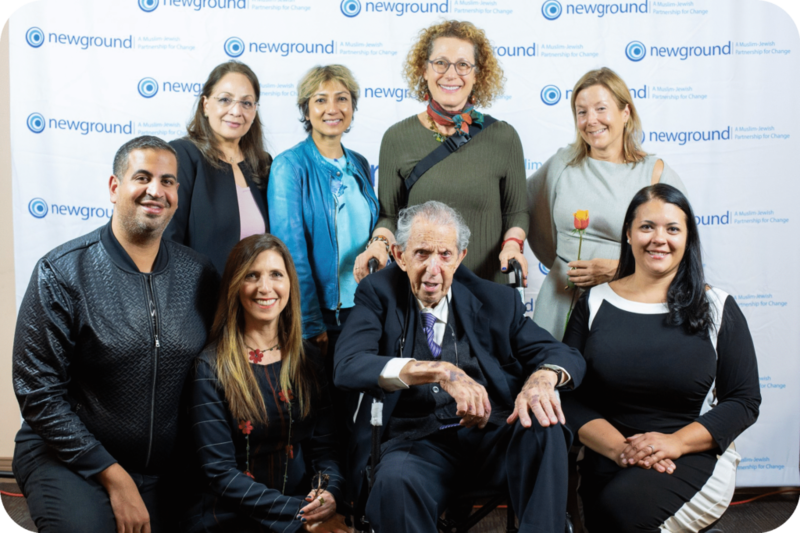 NewGround is proud to be supported by board members who consistently seek to better our city of Los Angeles.